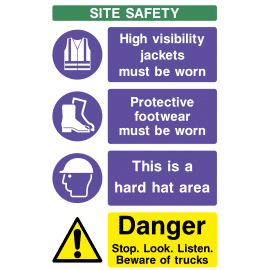 Construction sites are one of the most hazardous places to work due to the constantly changing environment, the temporary nature of many structures, and the heavy machinery used. The construction site will be littered with hazards that could cause harm to workers if left unmarked. 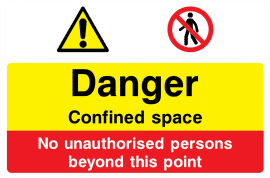 Construction Signs can help to reduce dangerous situations by drawing attention to the hazard. 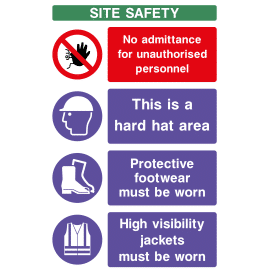 Displaying Construction Signs is a legal requirement and plays an important role in keeping your building site and construction site safe, so you can help protect your employees and site visitors using clear visual and cost effective sign guidance. Thus, we provide Construction signs which are economic, light weighted, waterproof and durable. 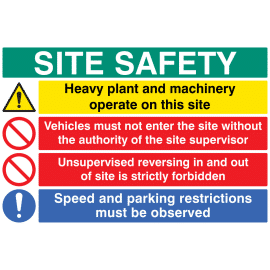 Our Construction Signs are ISO 7010 compliant and suitable for long-term or temporary site signage requirements. We also manufacturer our signs in-house and can create almost any type of indoor or outdoor sign in a range of sizes and materials. 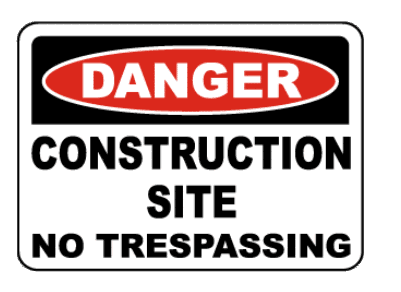 if you cannot find the construction sign you require please use our live support or contact us where our staff will be happy to help.